Anyone who has ever had a hedgehog in their garden will undoubtedly have been charmed by this lovely creature, and possibly also surprised at how loud their snuffling and rootling can be as they hunt through the night for slugs and insects! Resident garden hedgehogs can be a wonderful opportunity to have a wild encounter, as it is often easy to get close to them. They have no fight or flight defence, and when feeling threatened will instead famously roll up into a prickly ball, made up of around 5000 keratin spikes. In 2013, a poll by BBC Wildlife Magazine saw the hedgehog beat iconic species like the oak tree and the badger as Britain’s natural emblem. It is undoubtedly one of our best-loved species, so why is it in such serious decline? A worrying survey by the People’s Trust for Endangered Species and the British Hedgehog Preservation Society estimated that hedgehogs have halved in numbers since only 2000, and perhaps as much as 97% since the 1950’s. That could mean there as little as 1 million hedgehogs in Britain today. Loss of hedgerows, grasslands, intensification of agriculture and the use of pesticides (which means there’s less insects for the hedgehog to eat) have been cited as reasons for this decline. Rural areas are where the greater loss of numbers are occurring. There are many ways to help the hedgehog’s plight if you have land or a garden: by creating more enclosed spaces where they can hide; linking up the wild spaces within gardens and with a neighbour’s garden; ceasing use of pesticides and slug pellets, and putting out food in the cold months. Hedgehog houses are simple to make or can be bought, and if placed in a secretive spot, may host a overwintering hedgehog or even provide a nesting site. It is a two-way deal, and hedgehogs will reward any help they get by slurping up the irksome slugs that menace your flowers or cabbages! Placing small fences around ponds, or providing a plank for an exit route is worth doing, as many hedgehogs drown by falling into garden ponds. Hedgehogs are extremely adaptable; they will eat many foods, such as invertebrates, worms, slugs and even birds’ eggs and carrion, and live in many different habitats, including hedgerows, gardens, grasslands and woodlands. They are also adapting to urban environments. Their unfussiness in terms of diet and habitat are another worrying indication of the trophic web they are part of – if the robust hedgehog is declining, it is likely to be knock-on effect of other problems in the ecosystem. Hedgehogs are 25-30cm long, and live between 2-3 years. Despite their small stature, they can cover between 1-2km in their nightly hunting. They are also surprisingly dexterous, and can run, climb and even swim. They hibernate from November, and the best time to spot one is between April and October. They sometimes swap between nesting sites during their hibernation months, so bleary-eyed hedgehogs trotting through a winter garden is not an impossibility. However, if they look really sluggish or unwell, it may be necessary to intervene. 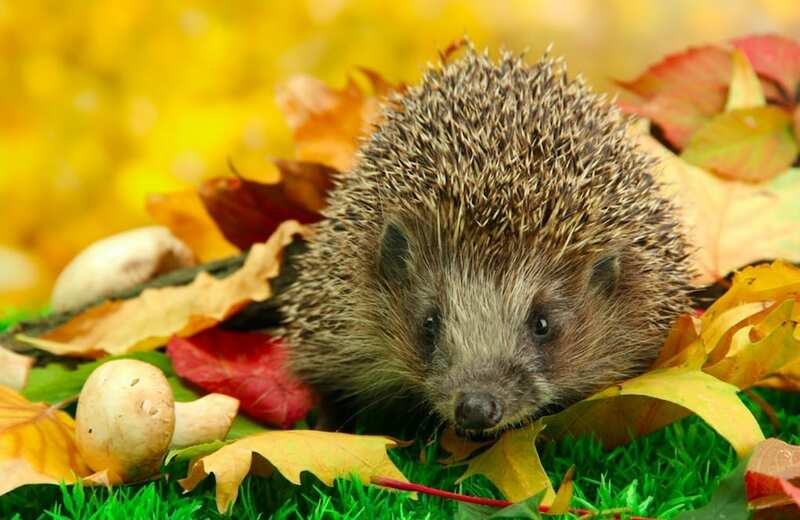 Any winter bonfires should be thoroughly checked for hibernating hedgehogs before being lit. Hedgehogs have not always enjoyed the popularity they hold today. In 15th century Britain, there were some curious folk tales surrounded them. One was that they would suckle milk from cows’ udders, another that they could carry fruit and berries on their spines, and would steal eggs. Whilst they do eat eggs, these are likely to have already been damaged, as hedgehogs aren’t strong enough to crack eggshells. Perhaps the strangest belief of all was that hedgehogs were witches in disguise. In 1566, English Parliament placed a bounty on hedgehog of threepence, and the Church followed suit with a bounty of their own for every hedgehog killed. Restoration of wild places will help restore the numbers of the hedgehog, and there are many practices that people can easily adopt to accommodate or help this well-loved national treasure.